I live in Texas, so the only thing I love more than steak? I love all kinds of tacos. Some of my favorites I’ve shared before are the shredded chicken street tacos and easy Mexican street tacos. I’m not kidding…I’m into the real Mexican taco if you know what I mean. And of course, I’m always making new recipes, and you guys. This one might be my absolute favorite authentic taco recipe ever. It’s seriously so wicked simple that anyone can make these 3 ingredient authentic Mexican tacos. Doesn’t that real Mexican taco platter look mouthwatering? 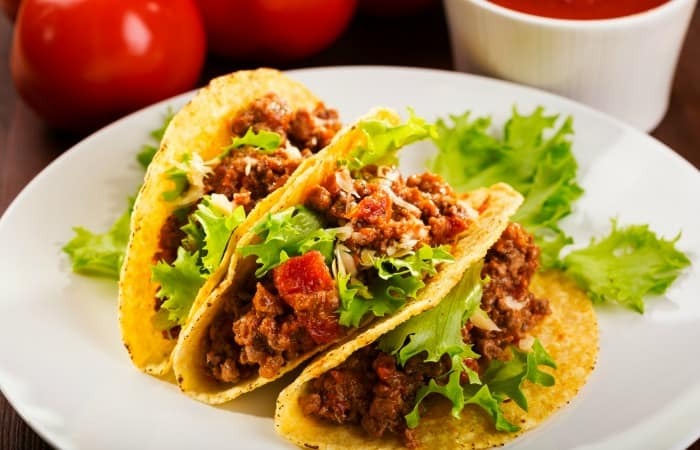 Yeah, I know it…these authentic Mexican tacos are sure to be a huge hit with the whole family. They’re delicious and you can put them together so quickly. You don’t need eight hundred specialty ingredients you’ll only use once and forget about in your pantry, you just need three simple ingredients that you probably already have on hand. I love making authentic Mexican tacos whenever I start getting a craving for really good Mexican food. Which may or may not be all the flipping time. This makes the perfect dinner for busy school nights because they’re just so quick and easy to make! When you’re facing a night full of playing taxi driver to all your kids’ activities, make these delicious flipping real Mexican taco platters so you’ve got something to look forward to! My mouth is flipping watering looking at these photos. I just made these tacos, and I might even make them AGAIN tonight. 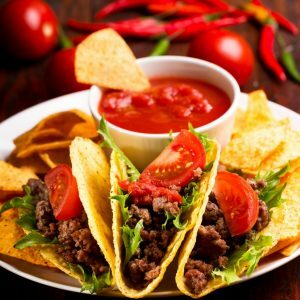 Okay, friends, onto the authentic taco recipe because I know you’re dying to try some 3 ingredient authentic Mexican tacos yourself! But first – you should definitely pin the image below so you can come back and make these tacos again and again! Brown the ground beef with homemade taco seasoning. Add in your chunky salsa. 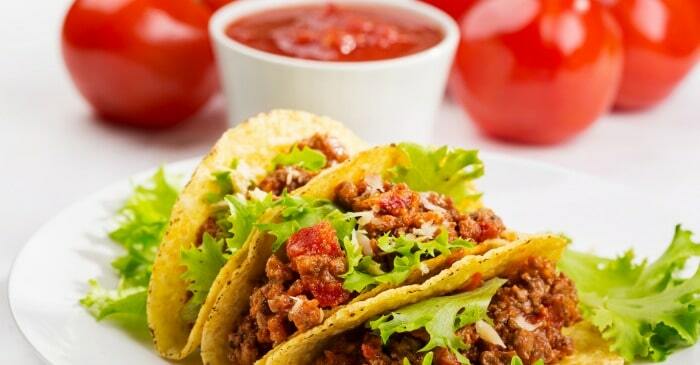 Enjoy your authentic Mexican Tacos!